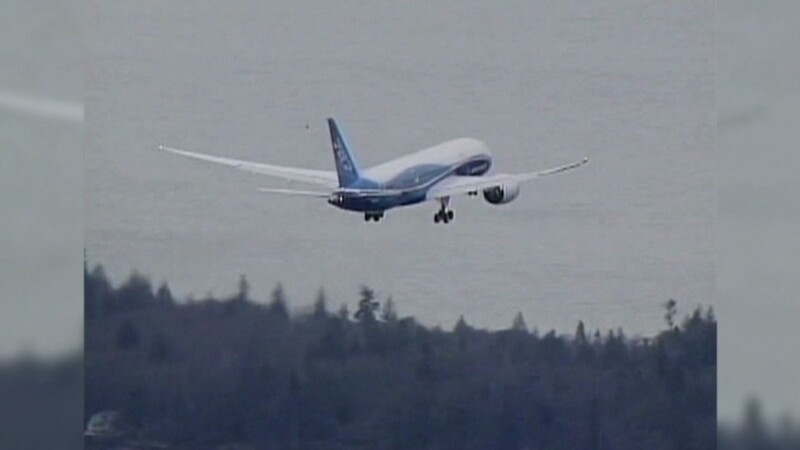 Boeing hasn't slowed production of its 787 Dreamliner despite the federal probe that has grounded the jet. Nobody is allowed to fly them. But Boeing can't stop churning them out. A federal probe into electrical fires has grounded all 50 Boeing 787 Dreamliners around the world. But Boeing has little choice but to keep its assembly lines in South Carolina and Washington State running at their normal pace, building five jets a month. 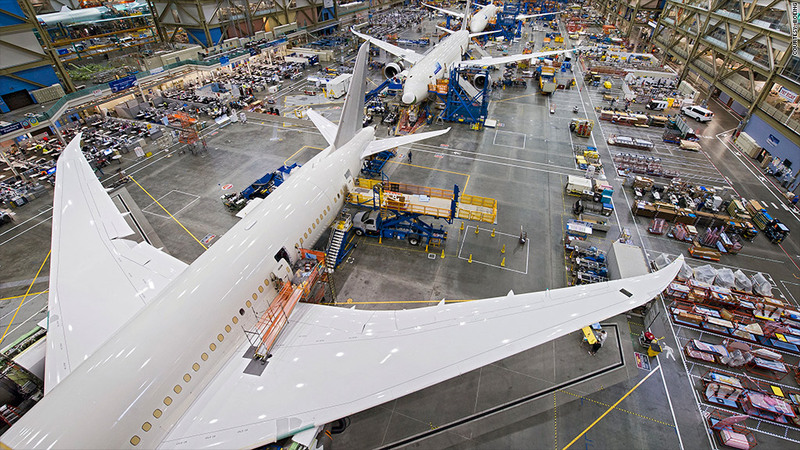 A significant slowdown in production, let alone a full shutdown, would be too costly for both Boeing and its suppliers who are counting on making parts for the aircraft. "Stopping production is not going to happen," said Carter Leake, an aerospace analyst with BB&T Capital Markets. A halt in production or even a slow down would risk crucial suppliers going out of business. "They need to keep the lines running to support the supply chain. They can't do that to suppliers that barely survived the three year delay in producing the first plane." National Transportation Safety Board Chairman Deborah Hersman said Thursday that investigators have yet to determine what caused the two lithium battery fires earlier this month that led the FAA to ground all Dreamliners. So even though Boeing has no idea what kind of fix to the aircraft will eventually be required, it continues to make the planes as if there is no problem. Related: What's wrong with the Dreamliner? "If it stopped it would be very difficult to start production again," said Chris DeNicolo, aerospace credit analyst for Standard & Poor's. And Boeing still has 800 Dreamliner orders left to fill for airlines. Boeing spokeswoman Kate Bergman confirms the manufacturer hasn't changed its production schedule since the Dreamliners were grounded. Indeed, the manufacturer still plans to double production by year's end. The company would not say how many planes have been built since the FAA grounded the jets on Jan. 16, or what it will do with the completed aircraft since it can't fly them off Boeing's property. NTSB's Hersman said the probe is only in the very early stages and suggested it could take a long time to resolve. "This is not something we expect will be solved overnight," she said. "We are prepared to be methodical." Leake said he is worried that the relatively quick fix that many investors were hoping for is becoming less and less likely. Airlines eager for the jet's improved fuel economy have yet to cancel any orders due to the grounding. But that won't necessarily be the case forever. "It does sound like we're in the first inning," Leake said. "I don't know what the tipping point is. If it's three months, they'll be no cancellations, six months, some cancellations, Nine months, it's a big problem." Working in Boeing's favor is the fact that it has more than $11 billion in cash and short-term investments on its balance sheet. "There's an ability [for it] to absorb the additional costs," said DeNicolo. "The rest of its commercial airplane business is doing quite well." The Dreamliner was supposed to be a major profit driver for Boeing, but that won't be the case as long as it's building planes that it can't deliver.